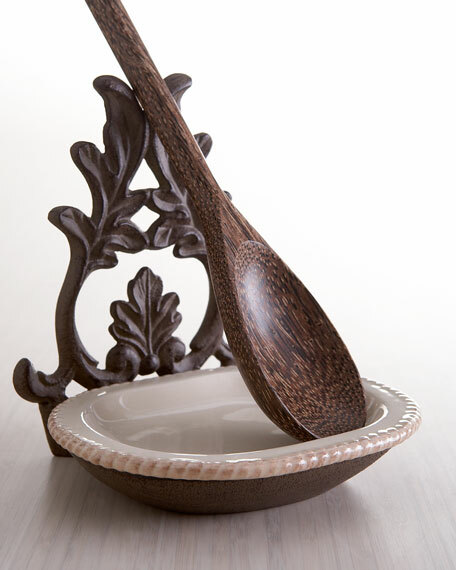 Spoon rest with cast-aluminum base and removable ceramic dish. 5.5"W x 3.35"D x 6"T.
Ceramic, dishwasher safe; wipe clean aluminum parts. For in-store inquiries, use sku #281917.